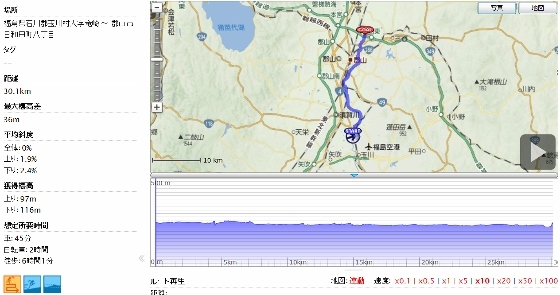 Today, I pedaled along the whole Michinoku Cycling Road from Tamakawa Village, via Sukagawa City, and to the northern part of Koriyama City (30km). 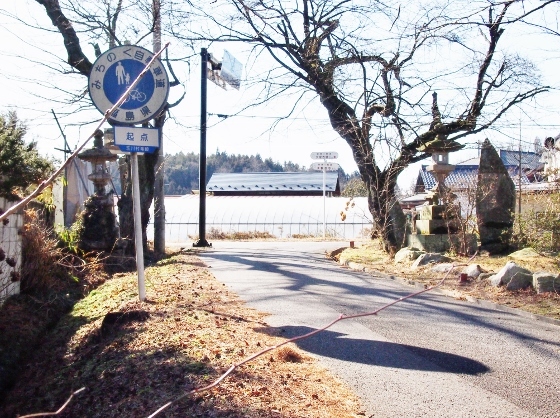 Since there were some places one might be lost, I have shown some guidance below. 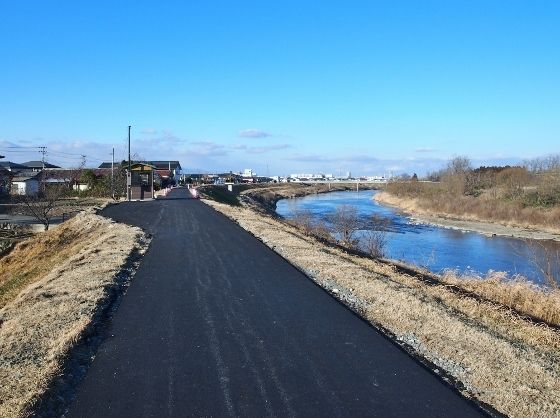 Michinoku Cycling Road went along Abukuma River and there were some places you could find a group of swans in winter season. 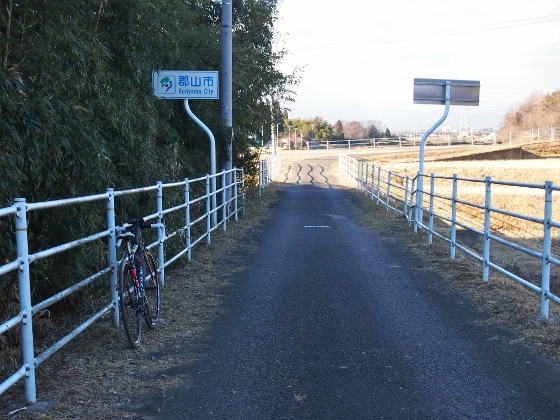 Turning east on the National Route 118 at Tamakawa Village I could find an entrance sign for the Michinoku Cycling Road as shown in the picture above. 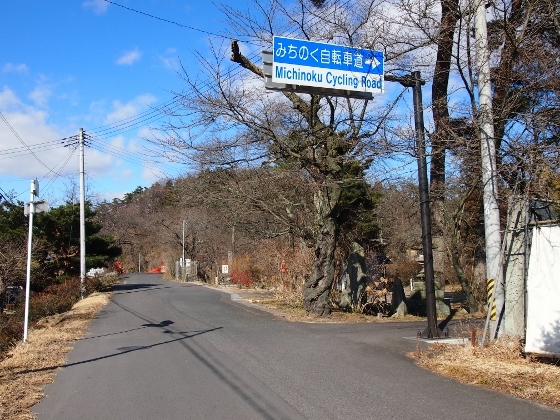 Above photo shows start sign of the Michinoku Cycling Road. 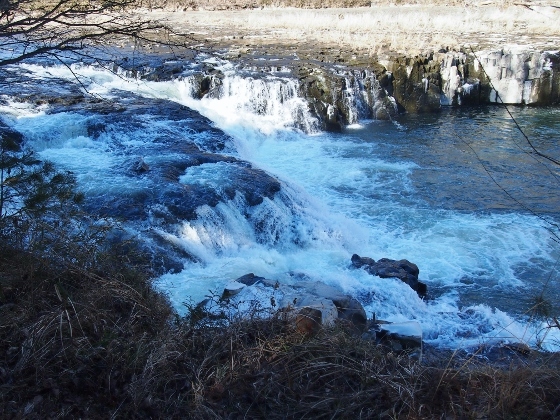 Above photo shows Otsujigataki Fall of Abukuma River located at the starting point of Michinoku Cycling Road. 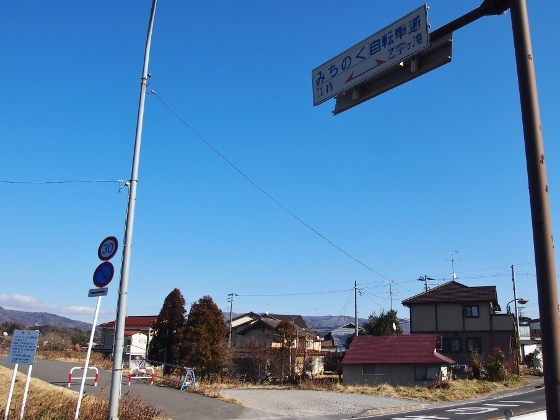 The fall had been selected Japanese best 100 falls. 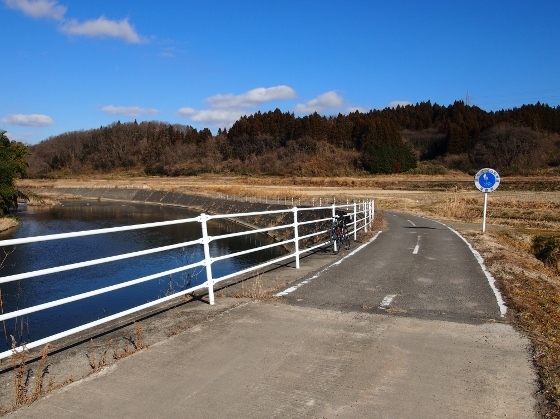 First, I pedaled along the east bank of Abukuma River as shown in the picture above. 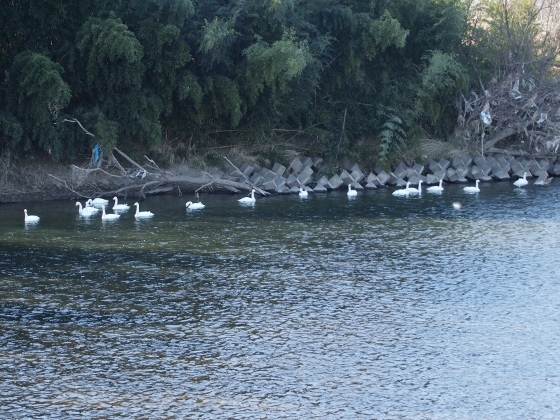 I found a group of swans on the other side of Abukuma River soon after I entered Sukagawa City from Tamakawa Village. 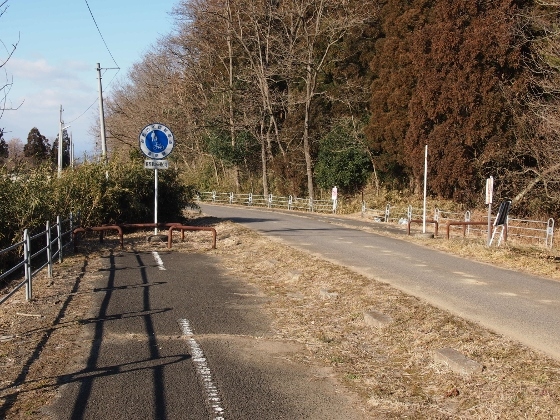 Going ahead for a while I found another road closed sign on the left side ahead. 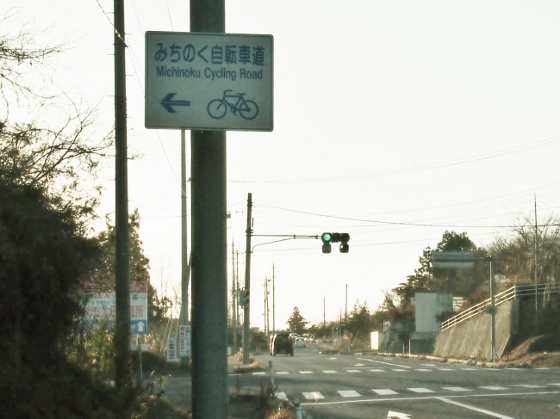 I also found a sign of Michinoku Cycling Road, and I crossed the road and went ahead to the right side entrance. 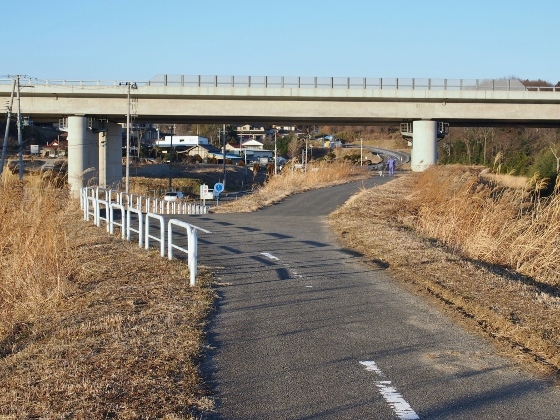 I kept pedaling along the east bank of Abukuma River. 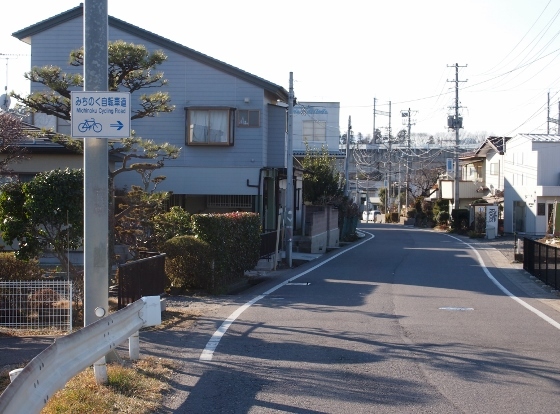 Here, according to the sign of Michinoku Cycling Road as shown in the picture above, I crossed the road and went ahead. 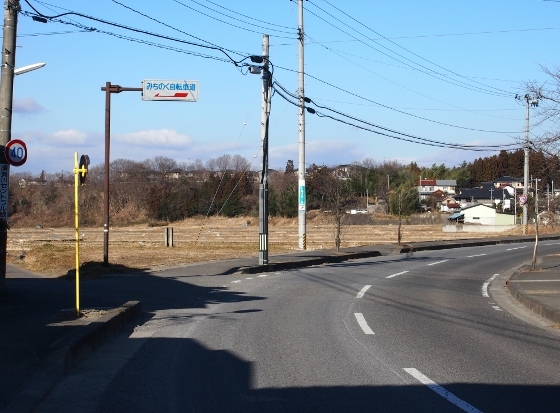 Although there were no sign at this crossing, I crossed the road taking care of road traffic and went ahead. 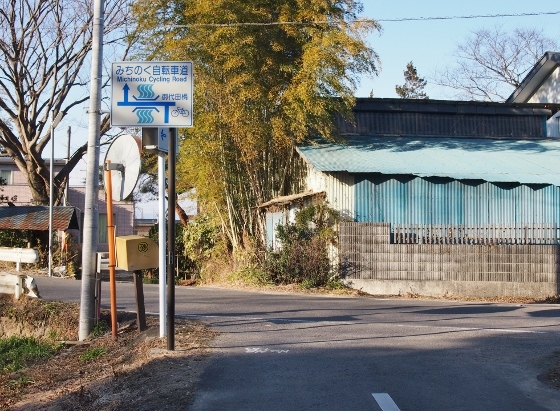 Here, I pedaled through gravel road and merged to a local road. 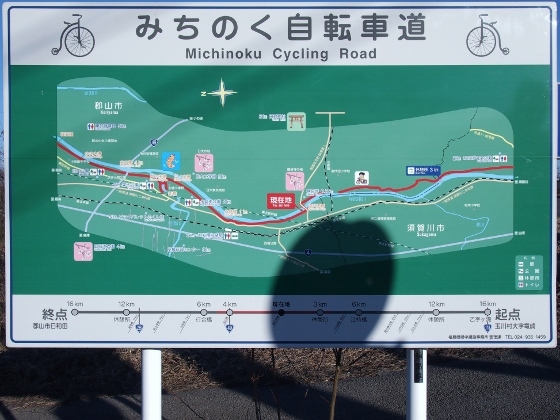 Soon I found a guidance sign for Michinoku Cycling Road as shown in the picture above and I turned left. 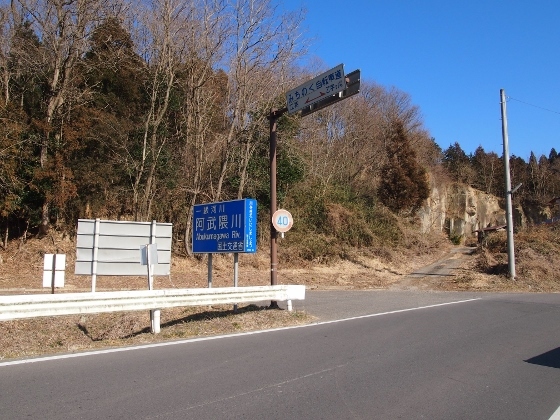 Soon I found a sign which said entering to Koriyama City from Sukagawa City. 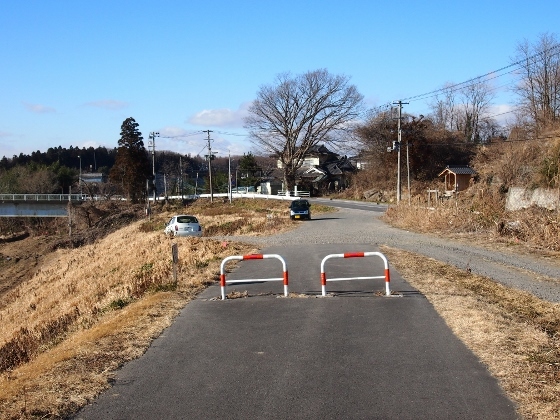 On the way, the cycling road paralleled with local road for a while. 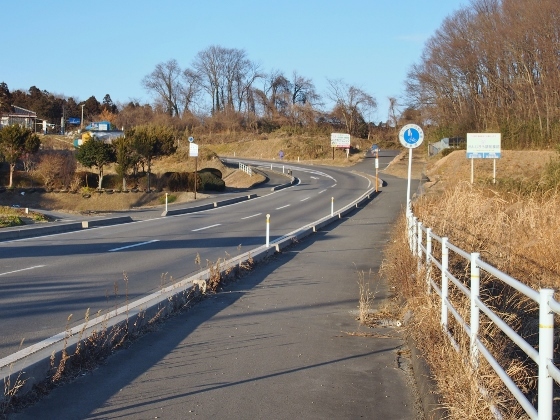 Since there was no traffic on the local road I thought I could choose either way. 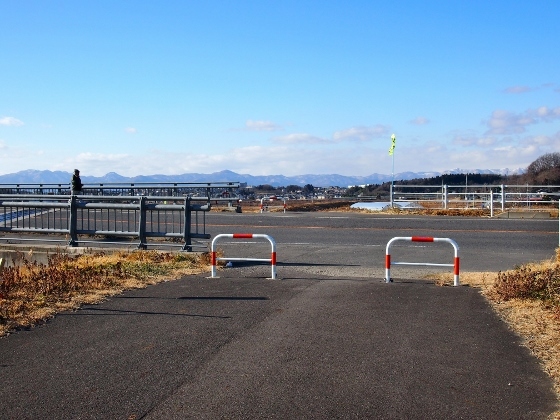 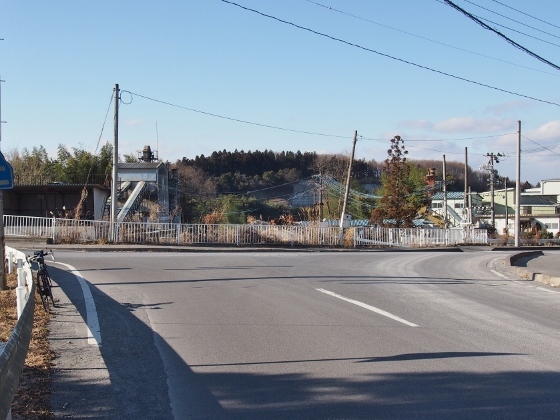 According to the guidance sign in the picture above I crossed over Miyota Bridge to the west side of Abukuma River. 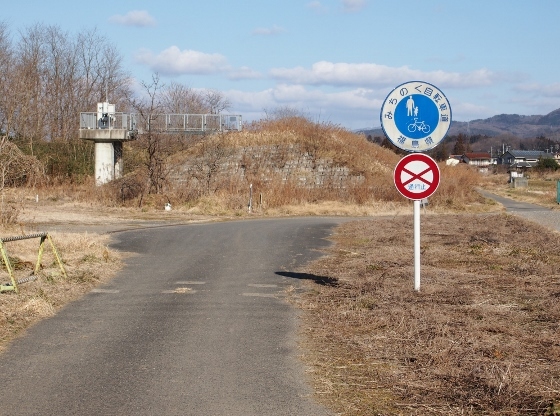 According to the sign in the pictures above I re-entered to the cycling road. 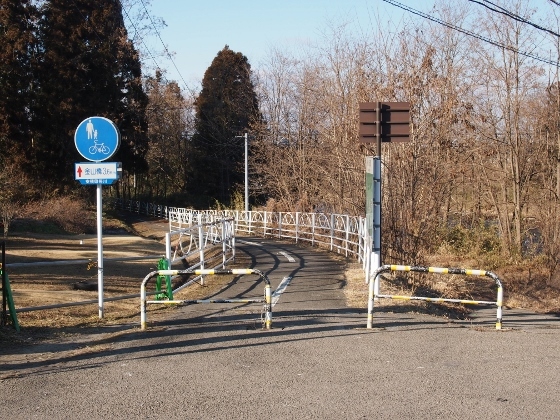 There was a panel here which explained the whole cycling road. 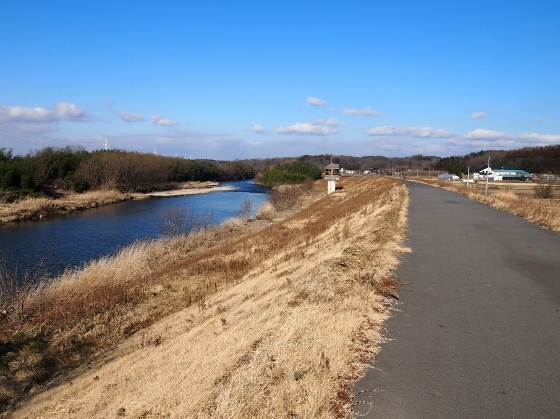 I pedaled north on the west bank of Abukuma River. 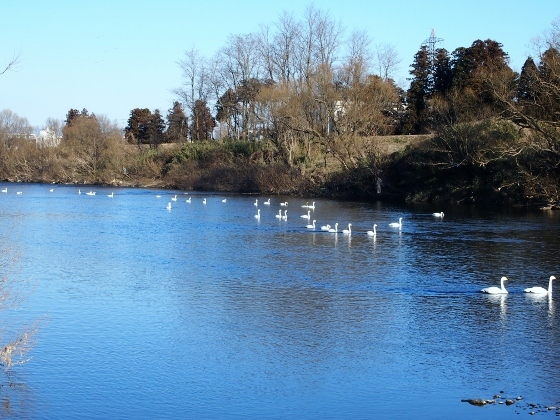 After a while I found another group of swans in Abukuma River Just beneath the Faculty of Engineering of Nihon University. 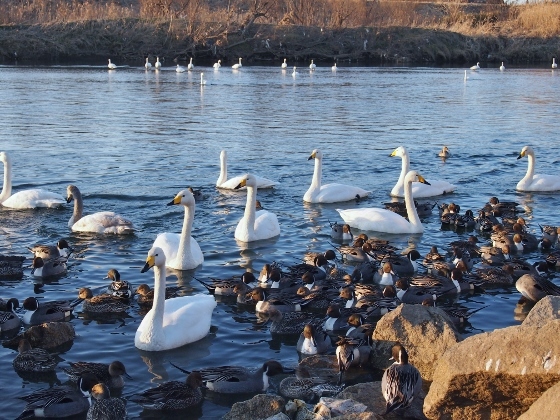 After I went further north I found the third group of swans in Abukuma River near the Dozaka area of Koriyama City. 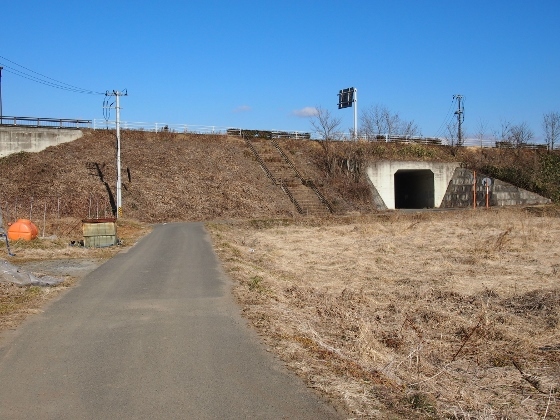 This group was the largest. 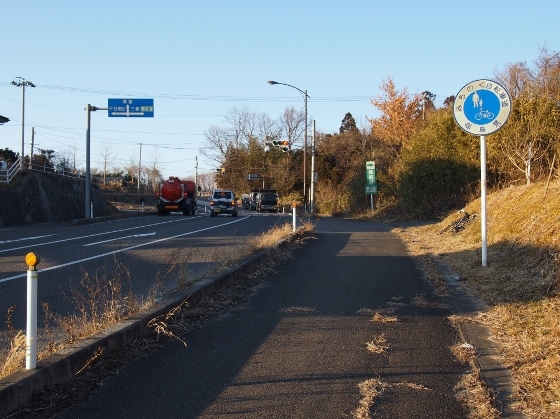 As the cycling road approached near the end, the road merged to the bike and pedestrian sidewalk of a local road under the Ban-etsu Express way. 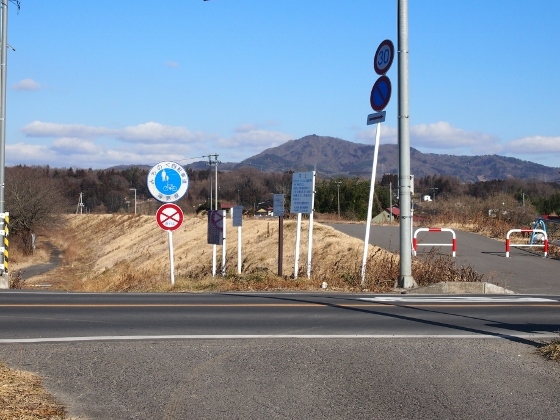 As I went along I arrived at a crossing shown in the picture above. 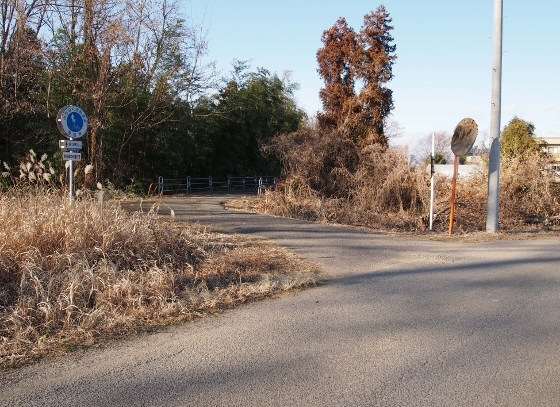 There was a start sign of the cycling road from Koriyama City immediately after I turned right and this was the end point of the road. 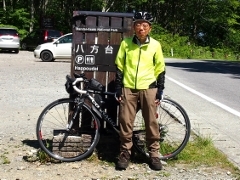 Copyright © Wonderful bike & train tour in Fukushima 福島大好きおじさんの自転車・鉄道旅日記 All Rights Reserved.